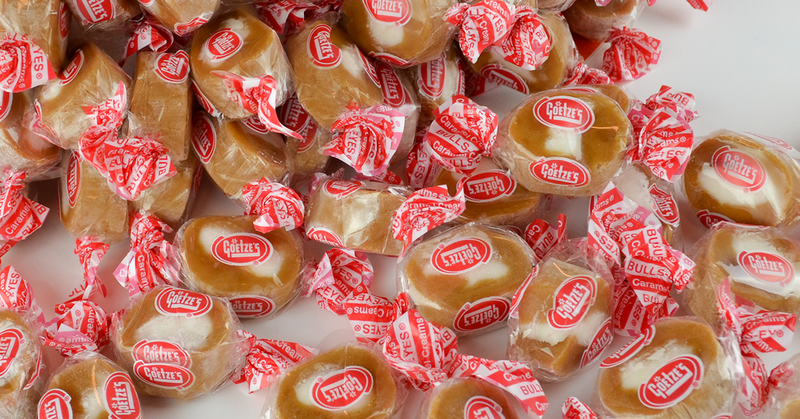 Goetze’s Caramel Creams® “Bulls-Eyes” are made of caramel with a cream center. They were introduced to market in 1918 by R. Melvin Goetze Sr., when Goetze’s Candy was still the Baltimore Chewing Gum Company. Caramel Creams Bulls-Eyes are now available in a variety of flavors including vanilla, chocolate, strawberry, apple, and black licorice. For more information, visit CaramelCreams.com. 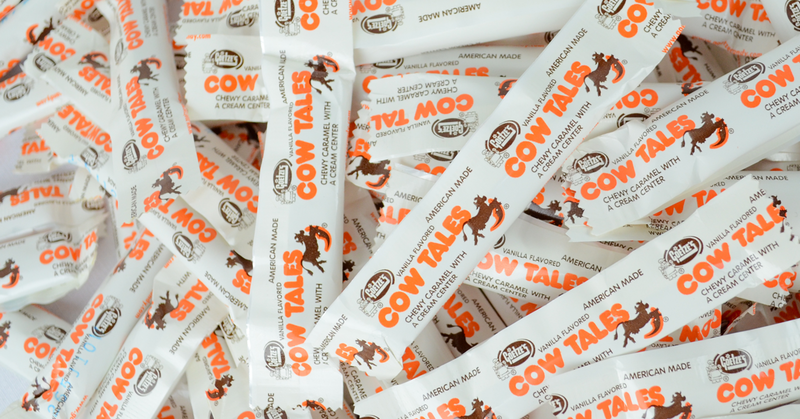 Goetze’s launched Cow Tales® in 1984 as a stick-shaped, chewy caramel filled with cream. Cow Tales are now available in four flavors: Original Caramel, Chocolate, Strawberry, and Caramel Apple. For more information, visit CowTales.com. Interested in purchasing Caramel Creams and/or Cow Tales for your retail business? Treat yourself, friends, and family to sweet caramel candy gift tins, gift boxes, and more from Goetze's Candy! What a sweet way to share the love! Collect Caramel Creams and Cow Tales exclusive merchandise, only from Goetze's Candy!